- fantastic, another great year at razis studios George and rula are great mr razi(christoph) is great he is a great guy and all of these rumours are fake I've been going there for 17 years and a lot has changed it's basic yeah but it's great there is a great pool and bar the reps are great and there is great bars and restaurants nearby. 10/10 I would the amend this place to everyone. Don't listen to the rumours is great some people are just stuck up snobs and don't realise when something is great. People cities this place as if its really bad it's not its great and its not gonna be the best place In Zante it's 2 star!!!!!! If you want better stay at a five star hotel!!!!!!!!!! Great place recommend to all and yes yannis can be annoying but he is a laugh and he is great and he's 17 now so he's older and he's grown up now don't listen to them stuck up people! Great place! Got back from my stay at the Razis Erieta Studios last week...had an amazing time in Zante and the rooms were better than we expected, me and 6 other guys went and had a great time! however...it seems girls dont have such a good time here...the 1st day we were there some girls had their stuff stolen from the pool area... and on the night we left the girls in the rooms next to us had their rooms broken into through the back door and all of their money was taken after their 2nd night in Zante!! needless to say they got the next flight home!! apart from that the pool is brilliant, the apartments are fairly clean and i guess you get what you pay for...just keep you valuables safe!! oh hello lucy! ha dammit you beat me to a review! we made some really good friends there, and george is the funniest man especially when he's wasted haha! the food is wicked but dont eat the hot dogs they're pure rank! go for spag bol, club sandwiches, poached eggs on toast or anything else! just not the hot dogs! and ask to put on the pumpkin hat! haha! really good location, its not right on top of everything like the clubs and that so it is quite peaceful, even if it is a fair bit of a walk for a night out. at night its a bit scary walking to the main road through the dirt track because there's not much light so take a torch or something! but george, yannis & christina and everyone else there we miss you guys! we'll be coming to visit you next year when we're out working in zante babyyyy yehhhh!!! and to them idiot girls that stayed there the same time as us... se mesum�!!! highly recommend this gaff it is the nuts! iv just got back from two weeks in zante staying at the famous Razis" studios and all i can say is why did i come home,Greated at the gates by the ledgend that is george and Razis (the owners) with a free stella waiting at the bar for us all, we sat by the pool in the glorious sunshine and drank our beer, welcomed to our rooms which where of a decent size(for the price paid) clean but basic three beds kitchen area tidy bathroom double doors opening out to the pool,we paid for air con at 8 euros a night but between three of us was well worth it, the showers great rooms cleaned twice a week. The pool area was fun and lively, with up to date music playing , the meanest spag bowl avalible (think i had that at least 8 times in two weeks) ha ha, and a wicked breaky. The location was a bit weird in the middle of a field with a dirt road leading to the main shops and yes the mooing of the cows takes some getting ust to but hey with a stinking hangover i forgot ll abou them! I TOTALLY AGREE WITH SARAH AND KIRSTY I LOVED THE RAZIS!!! SORRY LUCY I DONT KNOW YOU BUT ARE YOU MISTAKEN COS WE WERE THERE THE SAME TIME AND I DONT RECORD ANY OF THIS IS WAS GREAT!!! EVERYONE IN THE HOTEL GETS ALONG GREAT AND YOU ALL BECOME FRIENDS WHICH IS VERY NICE!!! SO JUST WANNA SAY ONE THING BRING ON THE RAZIS AND EVERYONE THERE!!! I stayed at Razis in the same two weeks in August!!! And i tell you now it is the best i dont know what the bad comments are all about!!! I would say if you go to laganas be prepared to party!!! I remember a couple always moaning and complaining they were young themselves but never seen anything like it.... there going to moan if they are in bed at 9 every night lol!! I wouldnt mind but they annoyed people with there arguing cos she was mis behaving!!!!! The location is perfect everything in the right place!!! I wouldnt listening to the bad comments there the misrable people that need to get a life and enjoy a holiday!!!! 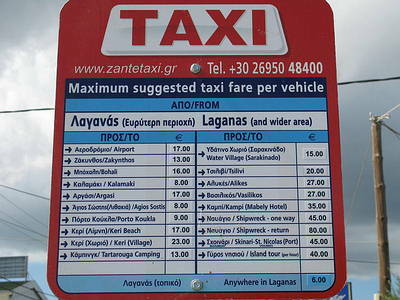 I went to Zante in July, and have been meaning to write a review about it for ages! I satyed in the Razis appartments and had no problems at all except for the bloody mosquitos! Which Mr. Razis and Christina helped us to get rid of with a teatowel and some bug spray! The rooms were clean enough for a 2* appartment and were cleaned twice a week. The cleaners even cleaned around us a few times when we were too hungover to get out of bed! The appartments were close enough to the main nightlife to walk to in very little time, but also far enough away that you could sleep if you wanted a night in. George and his wife were lovely, always happy to help. As were their children, Yannis is not a sod, or the devil child like most people have said, he's just a kid, what do you expect from children, they like to have a bit of fun, and seen as they help their parents behind the bar and around the appartments you have to forgive them for wanting to play around somethimes! Christina was very helpful when translating for her grandfather Mr Razis, who cant speak any english at all. I will reccomend that you get air conditioning in your bedroom as you won't be able to sleep otherwise. It is a bit pricey but definatley worth it! All in all I had a great holiday in Zante and at the Razis appartments and my friends and I are planning to go back to the same place next year. I would reccomend the Razis to anybody. Mr Raz is sound and so is George, its really annoyed me since ive returned and read the idiots who left negative comments about this place its out of order and the comments are made by either brain dead yobs who have returned to the rooms at silly O'Clock in the morning and smashed the rooms up or stupid stubborn British Nobs who expect 5 star luxury for 2 star price. The rooms are clean and tidy and cleaned twice a week which they ask you to be out of the room by 9 'O Clock so they can do this. The location is spot on and about 2 mins walk away from the quieter (and better) road and 5 mins from the main road. The Pool and bar are fantastic and really relaxing and more like 3 star, they say if your in a hotel on the main road you wont sleep until early morning because of the blareing noise but Mr Raz's place is basically in the middle of a field the only thing that woke me up was a cow mooing.�250 for 2 weeks if you take the flight price of that this place is a bargin , nice one Mr Raz,,,he even kissed my wife on the last day,,,,dood. razis were sound!! everyones chattin rubbish when they say its dodgy!! i ad a grea hol, me and my girlfriend went, there were no loud gangs, the hol was relaxing, got on with mr razis, he dont hide, just respect ur room he is happy, tho yeh he knows no english, but in greek yassu filley means elo friend hes happy if he gets that, the pool and bar are so nice, so the apartments are small, its cheap i stil liked it, theyre clean if u keep them tidy, tho mosquitos are bad, ul handle them, george was sound very nice man, john and dee, missyas, sarah says hi, and pat and jenny, elo to u too. really guys go the razis, one of the best places to stay 4 the price, dont be put off and wori bout the bad comments go and c 4 yourself. I stayed 2 weeks in the Erieta Studios. I don't care what Olympic say, it was less than 2*. Every time we turned on the shower or the tap the drain in the bathroom floor flooded the whole place, one of the beds was close to breaking point and couldn't be slept on, there were no bowls or knives in the kitchen, the hobs didn't work, there was mould and damp growing up the wall, the balcony light didn't work and the towles and sheets had stains on. I mean if your not going to wash the stuff properly don't make it white! The pool was nice and relaxing, it provided hours of jealous staring into the apparently clean and modern Razis Studios block through their open balcony doors. The Olympic rep "Kirsty" was a stuck-up miserable cow who couldnt care less once we didnt buy one of her over priced day trips that the locals sell for half the price! It seems that Mr. Razis owns the Razis block and Mrs. Razis owns the Erieta block. when Mr. Razi saw us in a resaurant he came over and chatted, whilst his wife shifted uncomfotably in her seat and avoided eye contact. Apart from all that the holiday was good, cheap booze and food with nice hot weather and a good beach. been back from zante for nearly two weeks now and missing it like hell! so much infact wer going back in october for a week! razis isnt as bad as i thought it was going to be, a bit below what you'd expect from greek apartments, in that most of them are pretty basic! however we did get put in the wrong apartments! we wer ment to be in the razis, which, although not 5* are considerably nicer than the errieta apartments! but its only a place to kip and get ready anyway isnt it! Just come back from my 2nd stay at the Razis and had a great time. The appartments are basic but so are most in Greece espicially for �300 for 2 weeks. If you wnat luxury pay extra and stay in a hotel. George and his wife Roula run the pool bar with help from his kids Chritsina and Yannis. Manos (Mr Razis) is Roula's dad and speaks very little english. If you have a problem with him talk to George/Roula etc. If you dont break anything and are not too noisey then he wont give you any grief. Hi to the Reading gals, the doncaster lads and the London Boys. 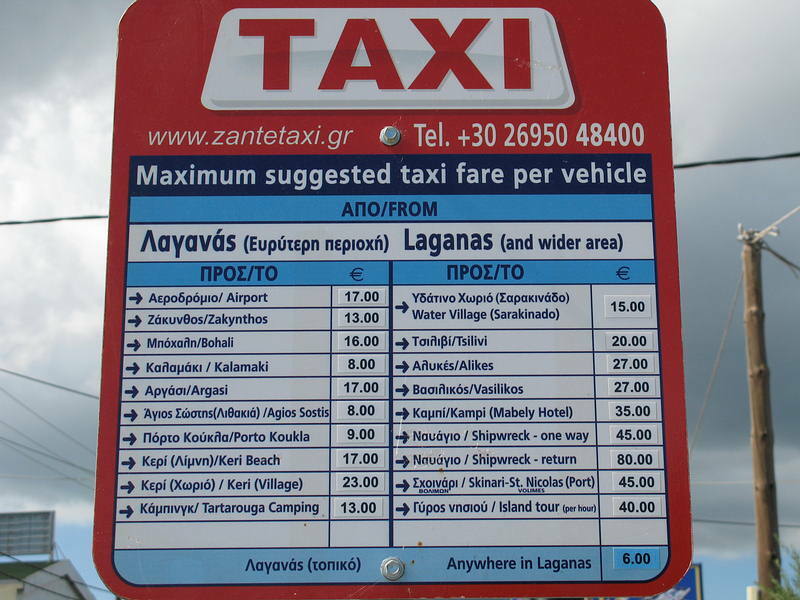 As Yannis says "get your fun bags out"
hey just comeback from a 2wk holiday in zante!!! and if you break anything in your room lets just say you have to re mortgage you house to pay for it!!!! the holiday was good overall we all had a laugh but after 2wks we were all ready to come home..... went to magaluf last year and still have no complaints!!! well where do i start!!! we knew this place was 2 star but did not realise how basic 2 star is. i hate to say the rumours are true about Mr Razis he made our 2 weeks a living hell. he and his staff let themself into ur appartment when ever they felt like it, he also complained and ripped us off with air con- ( if you dont get the air con u wont be able to sleep, and the air con takes about 4 hours to cool the room down! ) also someone took a likin to my Ipod as that went missing!!! Mr Razis cant speak a word of English so you will have to get his Grandchildren to translate for you and it sems ab it wrong to shout at a 10 year old greek girl in order to get your point across!! also we had to have the beds changed three times in order to find a matress that wasnt compltley bent in the middle. on a apositive note the location from the main strip and beach are ok, and the pool at the appartments is very nice but after my ipod was stolen we went on strike declared war and refused to have anything to do with staff- as didnt want to line Mr Razis pockets. yes Mr Razis grandson is a sod and you will be bothered throughout your whole stay. over all i really enjoyed Zante but we all agreed we HATED the Razis appartments. Had the best 2 weeks of my life!! The appartments are very basic but if your having a good time like i was you really wont care.Mr razis isn't as bad as every1 makes him out to be, its only when you make too much noise or bring other people back he gets a bit annoyed! I have to warn all the girls though, Mr razis's 11yr old grandson is a right little sod! He saw me with no clothes on about 4 times cos he looks through the glass doors when your not looking! He also tries his best to get you wet when your sun bathing & hits u on the head with footballs while your swimming.The nightlife is wicked me & my mates didnt get in till bout 7 every morning,the clubs and bars are excellent oh and lots of free shots, But its not really a place 4 couples!Met loads of class people shame i wont see them again.Didnt wanna come home i advice any1 looking 4 a lads or girlie holiday to go there!!! We weren't really looking forward to our visit having read the terrible reviews of the Razis, but it is really not that bad! The rooms are basic, but sort of what you'd expect for the price and the 'kitchen' is so tiny there isn't a hope in hell of really cooking in it. The bar and pool were great. As for the infamous owner... he does let himself into the rooms to clean...but other than that he was fine. The only time we saw him go off on one was when he caught a girl in the room of some lads who were staying there, but other than that he was fine. All in all, we had a great time, but don't stay in Laganas for the beach- they're so grim, if you walk in either direction away from the main strip for about 1/2 an hour you get to some really pretty, much quieter and cleaner beaches. Hey just got back from two weeks here... The apartment wasnt too bad, not much in terms of a kitchen, eat out its cheap anyway...The rooms are cleaned twice a week at about 9 in the morning, so set your alarm... The bathroom is a wet room, this will get soaked but just move it around with your brush and it will be fine... There are loads off great bars/clubs..i recommend Baywatch beach party, and bonanzas restaurant... The beach isnt too great but if you take a 40 min walk down the beach to the little island there is a great pebble beach there..its so beautiful.. The splash pool and bar is fab, george is a great laugh and the woman during the day is lovely... the only quabble i have is that Mr. Razis kicked us out off our room at 9am even though our flight wasnt till 6am the following morning.. But this whole Mr. Razis hiding in the bushes is bull...he is fussy about breakages though but be careful and quiet at night and you will have a great time...Wish I Was Back!!! PS TAKE PLENTY OFF MOZZY SPRAY!!! AND HAVE FUN!! 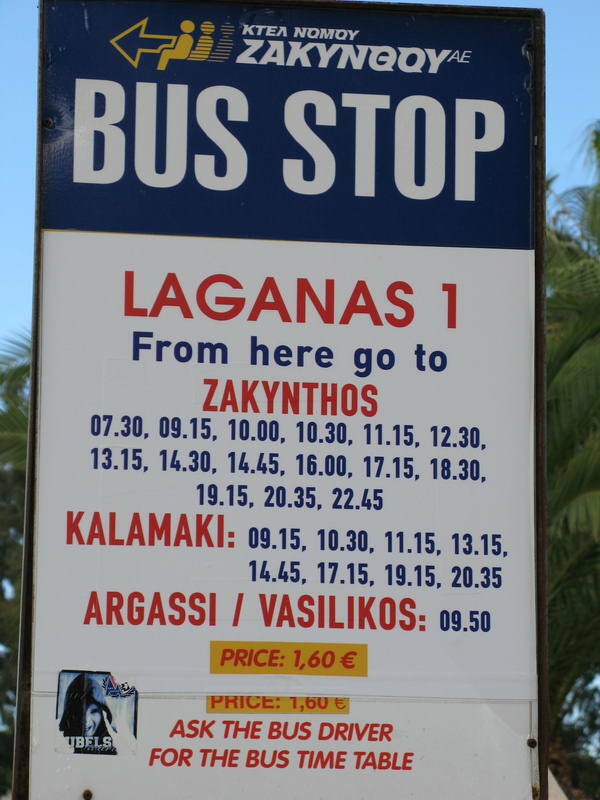 i am sooooo dreading my hol now after reading this! am goin with my gf, plz tel me il survive the razis nightmare... plz plz... wat r the beaches like? We stayed in the Erieta studios for 2 weeks in July. As I was with my boyfriend wasnt really a holiday we expected. We paid �500 each which was a rip off!! The room was really basic and tiny, not very clean either! The pool and pool bar was good. The staff were really friendly and gave us loads of free shots. Laganas itself is full ov groups ov young lads n girls. So I wouldnt recommend it to any couples or families. Met one couple while we was there! If ur 16-20 n going wiv ur mates you'll ave a great time!!! Overall the holiday was good as we went on alot ov outings. Would go to Zante again but a different town as it was abit too mad for us! Hope I didnt put you off. Have a good time!!!!! i went to zante on the 3rd of july for two wks, what a holiday, mr razis made our holiday by chasin with his stick and shining his torch in our eyes on the way home from a night out, he is actually a good guy jus a bit mad, he had to get his grandson to speak to us cos he couldnt speak any english, we got on well with the family that owned it and needless to say i am goin back to zante on the 3rd of july again, but not stayin at mr razis studios, but i am sure i will pay him a visit. funniest thing from my hol was gettin back from a night out and jumpino ff the barr roof into the pool only to get out and get chased by mr razis back into my room and had to sneak back out to get my towel and shoes. what a laugh. if anyone is going back to the razis erieta studios and u didnt notice last time you went, mr crazy razis comes out one night and stays in the next, got a little pattern going, that is what we noticed. we were there form the 7th august-21st and we miss it loads just wanted to see if any1 was there the same time as us cuz we met loadsa people boyz and girls and we miss every1 soooooooo much especially terry, tony, mark,adam and jamie oh and lisa and anton who was soooooooo cute !!! !